Situated in the middle of an operating dairy farm, the owner had amazing options on the siting of the house. 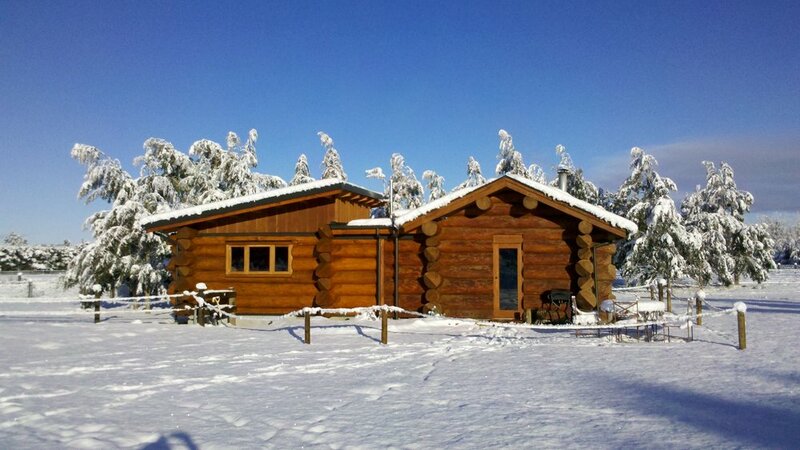 It will be hard to find a better location for this weekend get-away log cabin than Arthur's Pass basin. 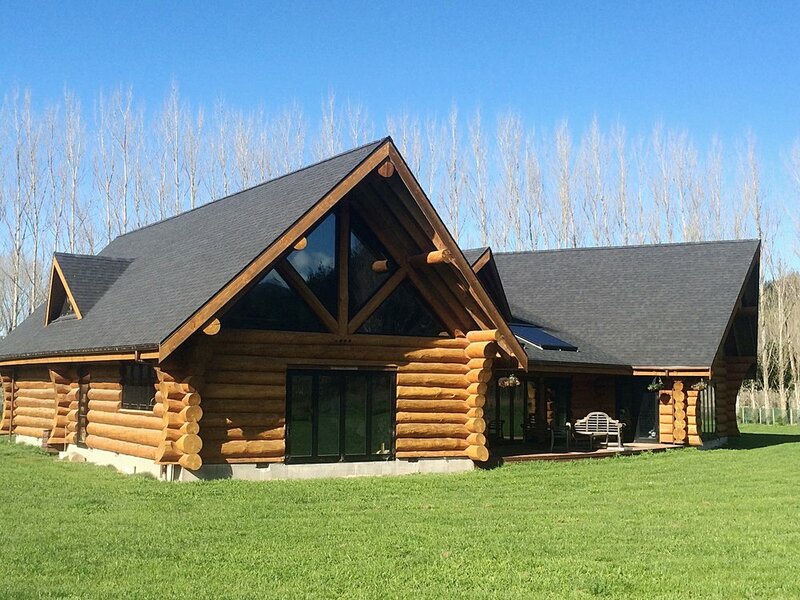 This is the largest loghome project in New Zealand. We have designed this house and log post&beam garage here in New Zealand, and the project has been pre-built in Canada. The western red cedar logs used for the house walls and roof structure have been shipped to NZ in seven containers. Please visit Pioneerloghouse.co.nz to view more photos of this project. Family living at it's best. 520 sqm, 2 storied house. Features 4 beautifully handcrafted trusses and complex log roof system. Beautifully handcrafted pool house with douglas fir tree stumps. This entertainment area provides endless talking point.